There's something quite beautiful about watching someone sip a fine scotch while you look into their eyes as a blissful glaze begins to take hold of their soul. 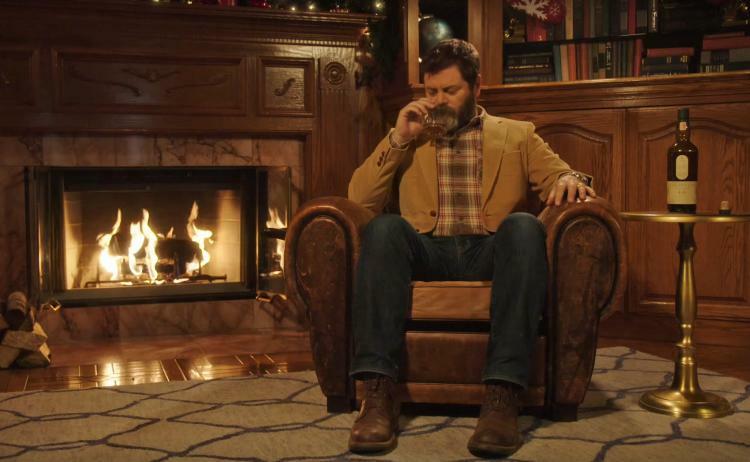 As a form of advertisement for Lagavulin single malt scotch-whiskey, the company decided to have none-other than Nick Offerman simply sit in a nice classy chair in front of a fireplace and sip their scotch for 45 minutes. I think it's working, I also think this would be the definition of making it... you know... once someone pays you to drink scotch and relax in a chair.